Posted September 30th, 2014 by Andrew Lodge & filed under News. Posted September 30th, 2014 by Andrew Lodge & filed under Community News. Posted September 29th, 2014 by Andrew Lodge & filed under News. Posted September 26th, 2014 by Andrew Lodge & filed under Community News, News. Posted September 26th, 2014 by Andrew Lodge & filed under News. Posted September 25th, 2014 by Andrew Lodge & filed under News. Posted September 23rd, 2014 by Andrew Lodge & filed under News. Posted September 22nd, 2014 by Andrew Lodge & filed under News. 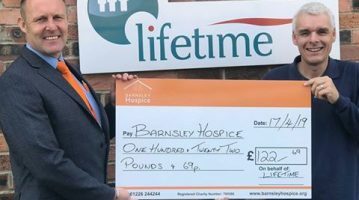 Everything just Wright for Lifetime and Barnsley Hospice! Posted September 18th, 2014 by Andrew Lodge & filed under Community News, News. 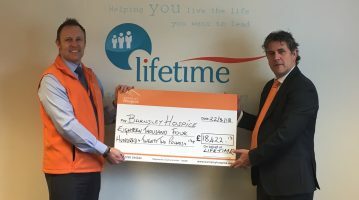 Lifetime in the mix as Barnsley means business! Posted September 17th, 2014 by Andrew Lodge & filed under Community News, News.